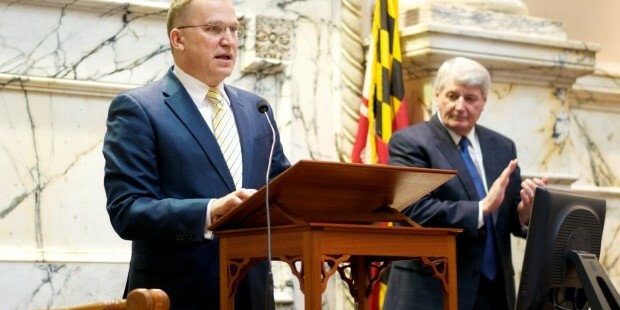 Ukrainian Ambassador Olexander Motsyk speaks to the House of Delegates as Speaker Michael Busch applauds. The last bill is an emergency Senate bill and the first sent by this legislature to Gov. Larry Hogan for his signature. It is a technical correction to specify that Maryland’s Earned Income Credit for 2014 taxes is 25 percent of the federal credit, a program designed to help the working poor who pay other taxes.